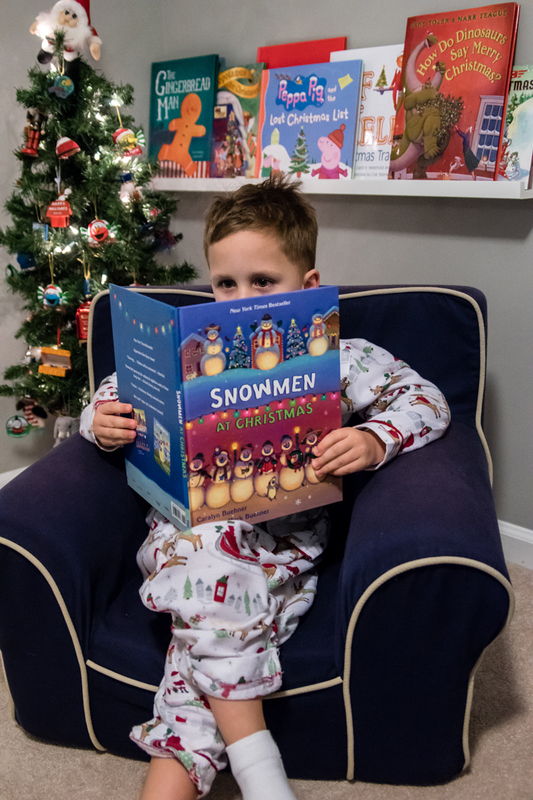 I find ourselves spending more and more time in our pajamas this time of year. 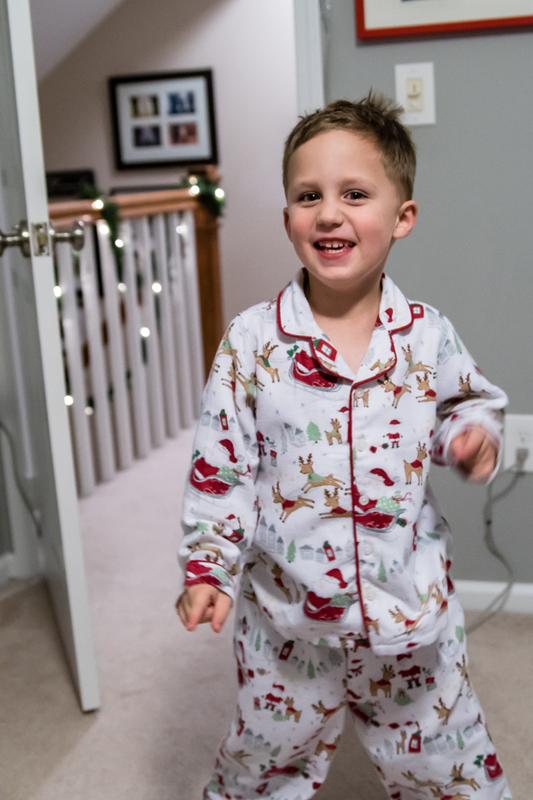 As soon as it gets dark, Noah thinks it's bedtime and asks to go upstairs and put pajamas on... even if we haven't eaten dinner yet! And with the temperatures rapidly dropping, I find we are having lazier mornings, and we sometimes still in our pajamas by lunchtime! All of that combined with how stinking cute all the Christmas jammies are has made it hard for me not to buy ALL OF THEM! 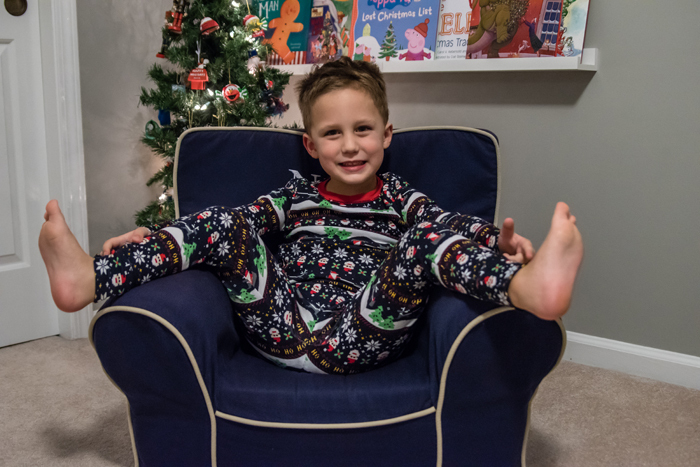 I consider it a huge restraint on my part that Noah "only" has 3 new pairs of Christmas pajamas this year. The first pair I got him were these flannel pajamas from Pottery Barn Kids. He had a similar version that he wore the last two years, but they were finally too short for him. So we bought the next size up and they are still one of my favorite pairs, even if I do have to roll the pant legs this year. While he might be falling asleep while eating dinner, there's something about having a bath and brushing his teeth that gives him a second wind. He can get so silly at bedtime! 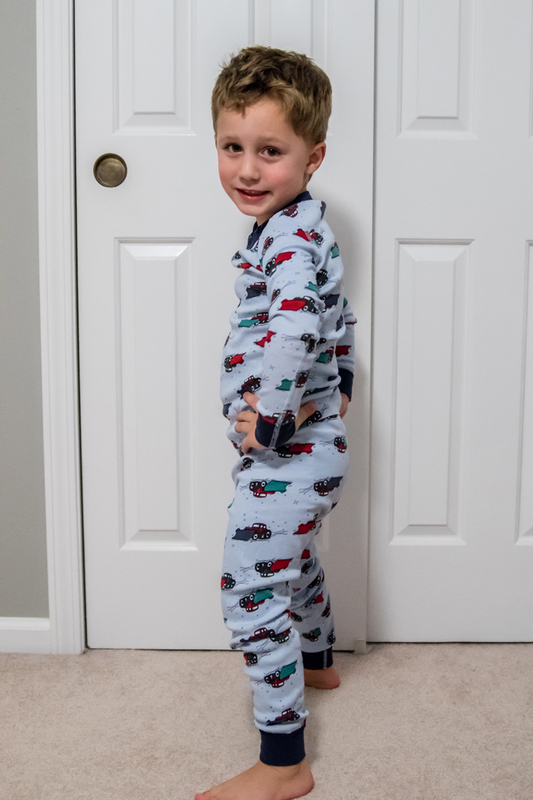 My favorite part of our bedtime routine is picking out his pajamas each night. 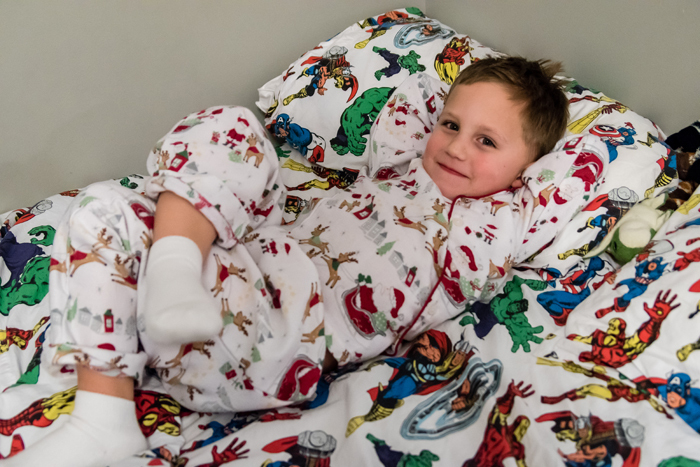 For a while, Noah loved to mix and match his pajamas. 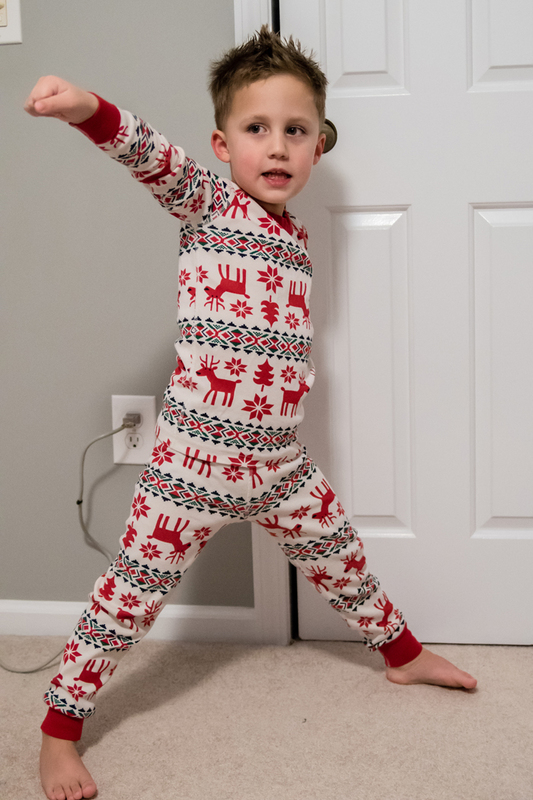 While I think it's adorable, I convinced him that he couldn't do that with his Christmas pajamas. I guess I'm a purist when it comes to Christmas. Though I'm sure we will be back to mixing prints in the new year! 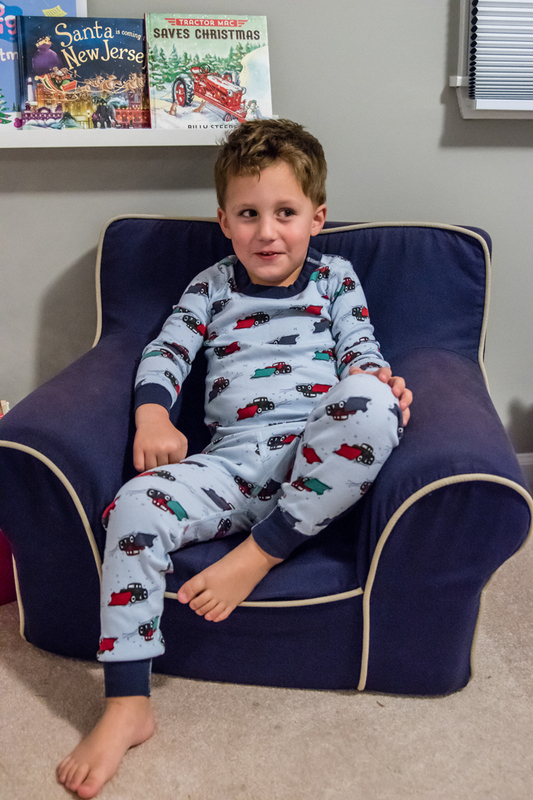 Once he's in his pajamas, the negotiations begin on how many photos I'm allowed to take of him. He'd prefer to get right to opening his "new" Christmas book. So this year, I compromised and ended up taking more action photos of him opening and reading his books. But some nights I luck out and he's in the mood for photos and gives me the funniest poses! 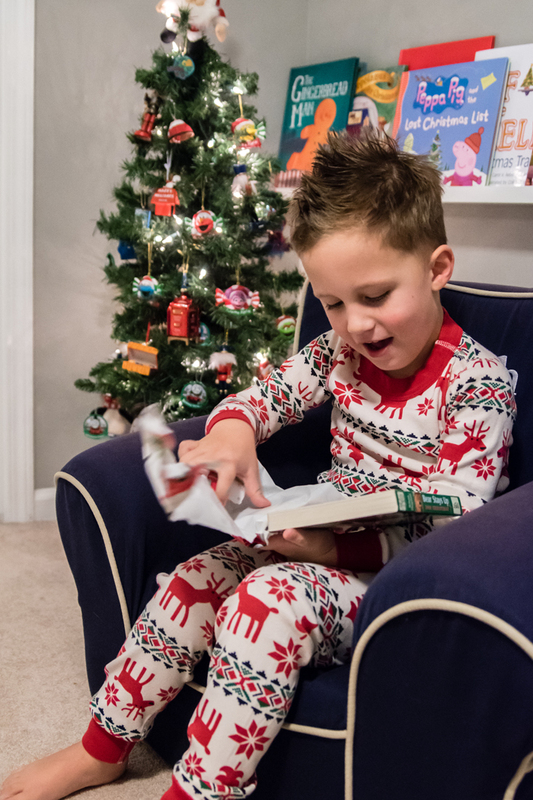 Every year, I have to get Noah a pair of Hanna Christmas pajamas. I just love them and even have a few new non Christmas pairs ready for him to wear all winter long... I can't wait! This year, I showed him a few options online and asked him to pick his favorite. 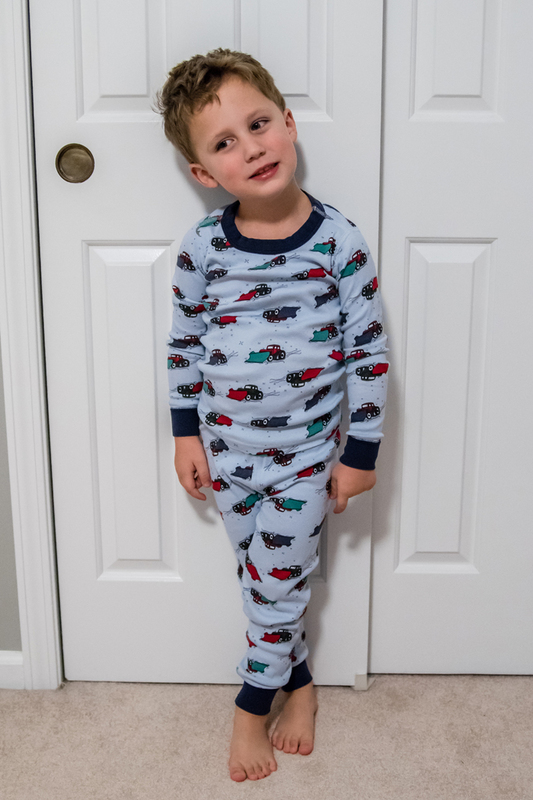 I absolutely love that he loves the red car and tree theme as much as I do and picked this pair! And can we talk about his poses for a minute!?! He often likes to strike a ninja like pose when standing in front of his closet doors. But it got even funnier when he decided to put both legs up while sitting on his chair... I was dying! My mom got this final new pair for him and his two boy cousins. While my niece will be wearing a different pair, we thought it would be cute for the cousins to wear matching pajamas since we will be together this Christmas Eve! I love this pair from Gap... it kind of reminds me of an old school video game. And while I love getting him new pairs every year, I was also happy to find out that a few still fit from last year. I'm kind of surprised since he grew a lot since last year, but I'm not gonna argue with it! These Hanna Deer pajamas were and still are one of my all time favorites! They are just so classic, and I love that they offered them again this year! I probably should have thought ahead and bought them in the next size up for next year! And finally, this last pair is more winter than Christmas, but I absolutely love the snow plows! But even more than that, I love the poses and faces he's giving me in these photos. From the little belly sticking out in his profile shot to the sideway glances he kept giving me! And to think I thought photographing a toddler was hard! Maybe next year I can talk Chris into matching family pajamas... but I seriously doubt it!!! Noah looks way cuter than we ever would! Now it's your turn! 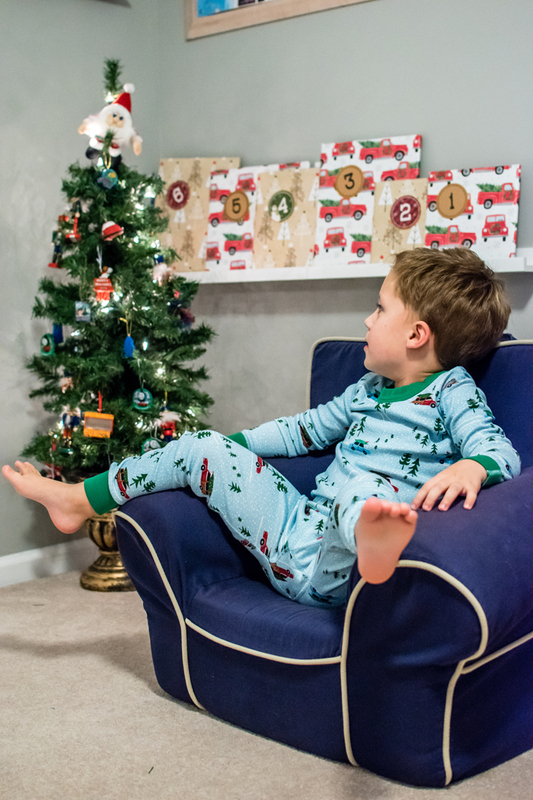 The Christmas Pajama Party Linkup starts today and will be open through December 26th! 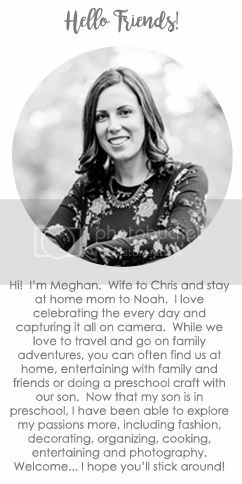 So that gives you plenty of time to snap some photos of your kids (or your pets, or even yourself) in their Christmas jammies and come back here to link up! 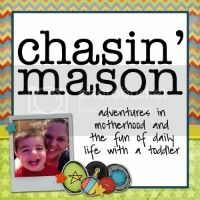 Don't have a blog, not a problem! Simply share on social media and add the hashtag #CHRISTMASJAMPARTY16 so we can follow along and like! 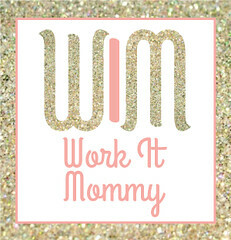 And don't forget to stop by my lovely co-hosts' blogs for even more cute pajama photos! I'm a big fan of the red car / tree & the snow plow ones! 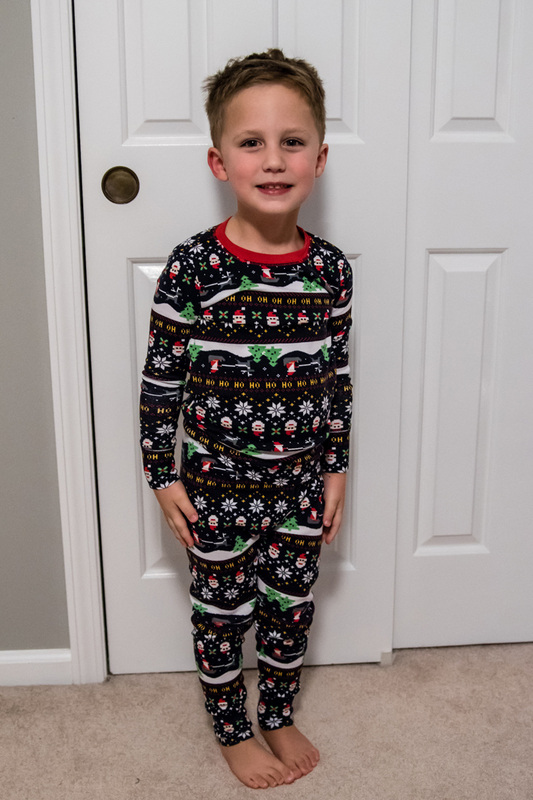 Holiday jammies are the best! I love all of Noah's festive jammies!!! He looks adorable. His poses cracked me up. He is such a character and his personality shines through. Silly boy!! Oh my goodness they couldn't possibly be any cuter. I love that classic pair too and matching pj's are just the best. My girls are SO excited to wear theirs. I love Noah's pajama collection! He has the cutest ones and Im sure choosing a pair to wear each night must be a hard decision. Noah is rocking the Christmas pajamas! I love to get Mason new pajamas year round but Christmas is my absolute favorite. Thankfully I stopped by Hanna Andersson on the right day when they were having 40% off pajamas and was able to snag 3 new pairs for him this year. It was super hard to narrow it down to just 3 though and I didn't even check out Gap! Those red truck pajamas are the very best I've seen!! I'm ordering them now for Connor. 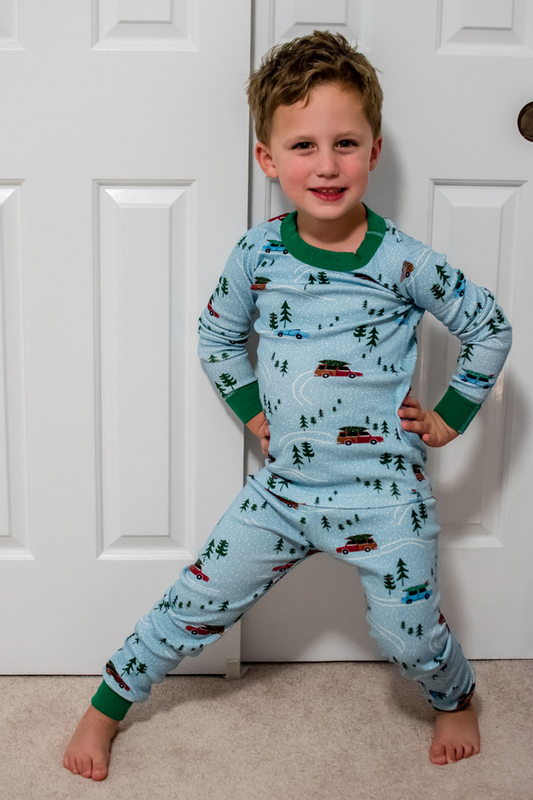 Noah always has the most incredibly pajamas! The red trucks are my favorite. I just looked and they are sold out of almost every size. Bummer!